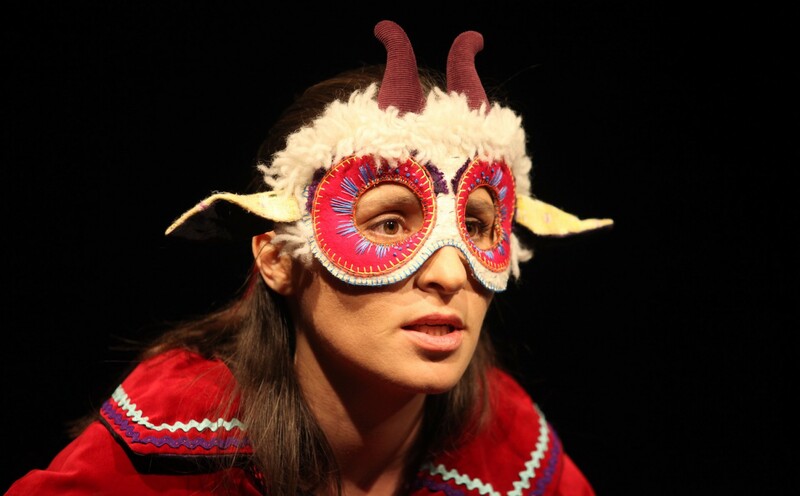 Experiment Ionesco is a project looking at childlike mechanisms in theatre-making, abandonment in the futility of sense-making on stage and it involves actors using English as their second language. 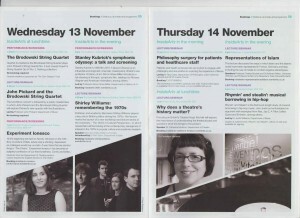 It has been devised as part of research and it has been hosted by the Wickham Theatre, Bristol. 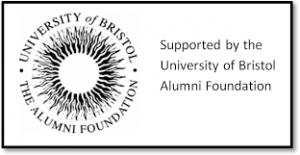 It has won the appreciation of academics and the wider public. 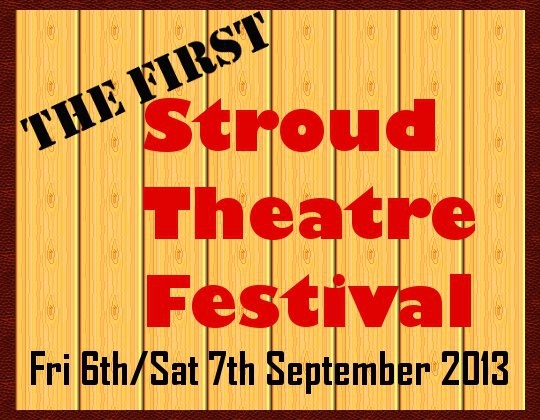 Experiment Ionesco has been presented at Stroud Theatre Festival 6/7 September 2013. 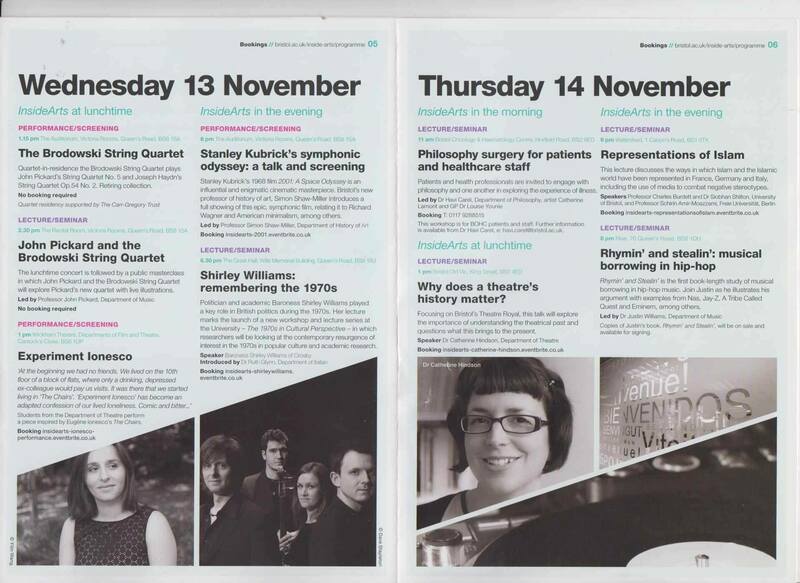 Experiment Ionesco has been presented at Inside Arts Festival (13 November 2013), hosted by the University of Bristol Arts and Humanities School, to showcase innovative work produced by the Drama Department research students. 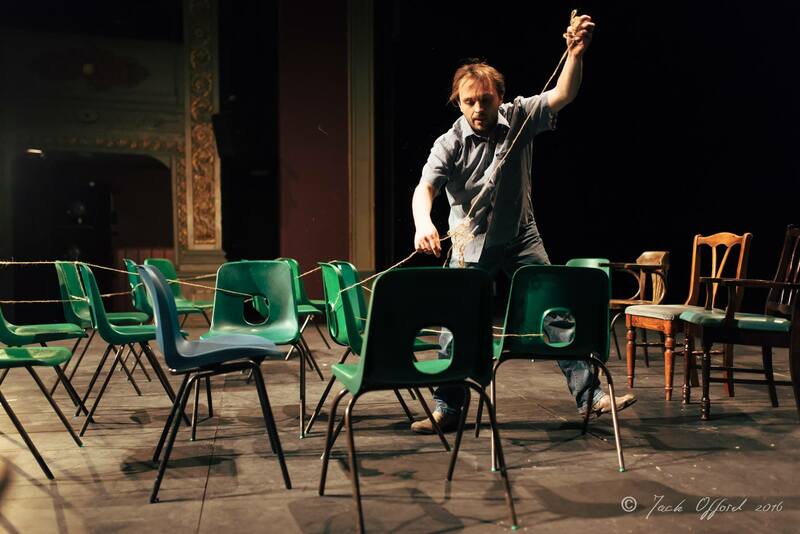 Experiment Ionesco will feature in the Accidental Festival 2014, 22-25 MAY at the celebrated London venue Roundhouse. 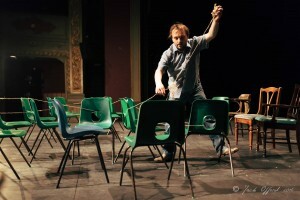 The festival is co-produced by The Royal Central School of Speech and Drama, University of London. 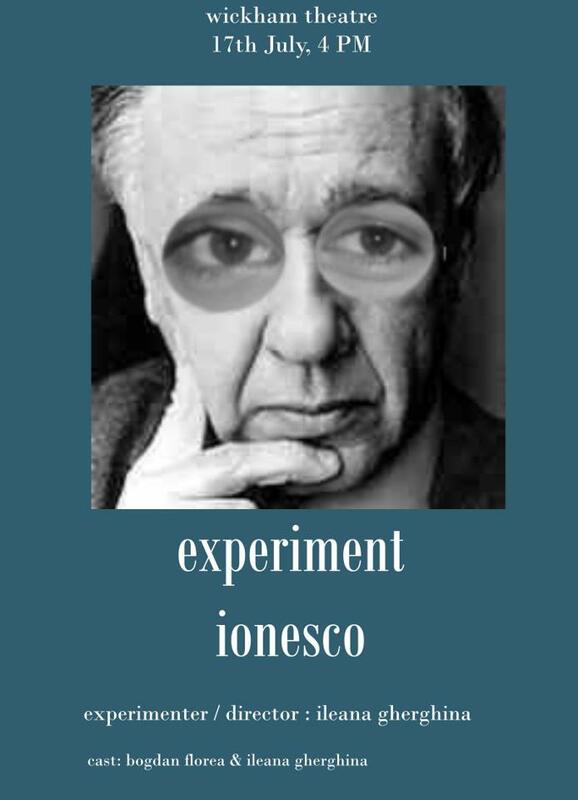 We have presented Experiment Ionesco at The Drama Department, University of Loughborough, in March 2015. 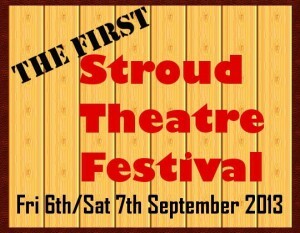 It has been a wonderful experience and we are looking forward to our next performances.